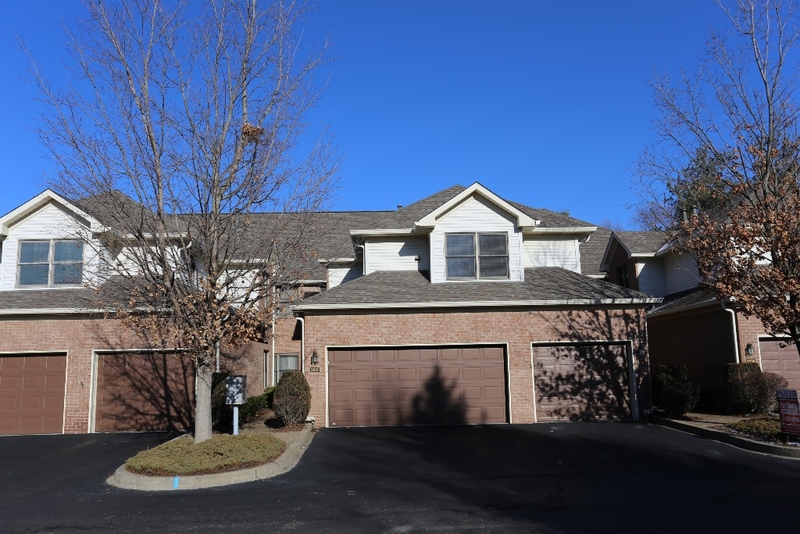 3637 Hurstbourne Ridge is a lovely condo that is in the heart of just about everything you would need on a daily basis. This condo has good bones and has been well maintained. Very nice landscaping has been added to the back patio area making it a quiet retreat. One of the big advantages of this condo is the two-car garage with insulated doors! No hauling groceries or supplies up stairs either, because this is a first floor home. The condo has two bedrooms and two full bathrooms with lots of closet space. The master bath features two vanities and a whirlpool tub, which makes soaking a treat at the end of the day. The great room features a fireplace as well as a second fireplace in the hearth room. There are some spacious built-in-cabinets and shelves setting the Great room off nicely against the trey ceiling. The area is open and inviting. The kitchen has plenty of counter space and ample cabinetry, and convenient to the great room to make entertaining super easy.There is a homeowner’s fee in this community that covers maintenance and landscaping as well as other amenities. The clubhouse is a nice feature, as well as swimming pool, tennis courts, and lots of green space to walk your pets, or maybe yourself on a beautiful day. If you drive around the area you will see many choices for restaurants, drugstores, and home supply stores all along the Hurstbourne corridor. Also located not far from the condo is a movie theater, coffee shops and Fitness clubs. Hurstbourne Parkway is a major artery to many other streets. Bardstown road is to the south, then drive north, connecting to Taylorsville road, and on to Shelbyville road. Hurstbourne Parkway extends all the way to Brownsboro road in the east end of Louisville. Certainly, 3637 Hurstbourne Ridge, Louisville, KY is a well placed, and nicely built home in the Louisville area. It could be yours! We also have other Hurstbourne Ridge condos for sale. Contact Tim Hollinden with The Hollinden Team today for a showing by calling 502-429-3866.